From beach vacations to music concerts, Priyanka Chopra is having a time of her life and her Instagram pictures are a proof to that. Recently, the 'Quantico' actress went out to party with the Jonas brothers- Nick, Kevin & Joe and the J sisters. Priyanka later took to her Instagram page to share some glimpses from the fun-filled night and we must say we are totally jealous of her. Priyanka shared this picture where she and Nick are seen posing with the entire Jonas family minus Papa Kevin Jonas and Mama Denise Jonas. She captioned the picture as, "It's #thejonai comin atchya!" In yet another picture, Priyanka is seen hanging out with her sister-in-law Sophie Turner and Kevin Jonas' wife Danielle Jonas. The actress posted this click with a caption that read, ""The #Jsisters are finally together!! @daniellejonas @sophiet ❤️😍🎉🙌🏽" Turner and Danielle shared the same picture on their respective Instagram handles. A few days ago, Priyanka shared a picture from her first Jonas concert and shared this picture with a caption, "My first ever #jonasbrothers show. And it was incredible!!! I'm so proud of these guys!! #Family ❤️." Priyanka will be next seen in Shonali Bose's The Sky Is Pink which also stars Farhan Akhtar and Zaira Wasim. The actress is also in talks with Sanjay Leela Bhansali for a film. The actress recently launched her YouTube series If I Could Tell You One Thing. She is also producing a film on the Rajneeshpuram community, in which she will be essaying the role of convicted criminal and Osho disciple Ma Anand Sheela. ALSO READ: WHAATT? 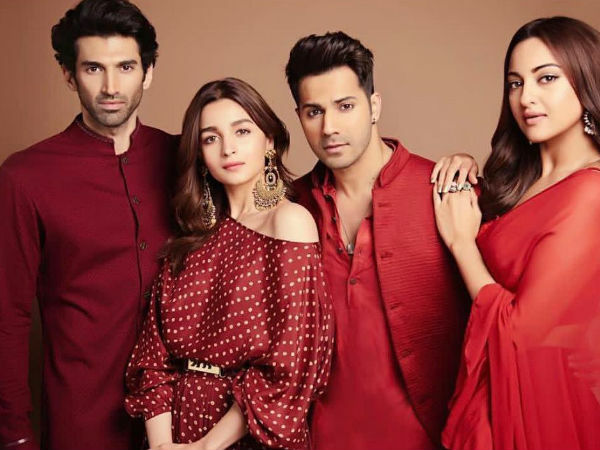 Kalank's Plot Is Copied From The Book What the Body Remembers; Varun Dhawan REACTS!